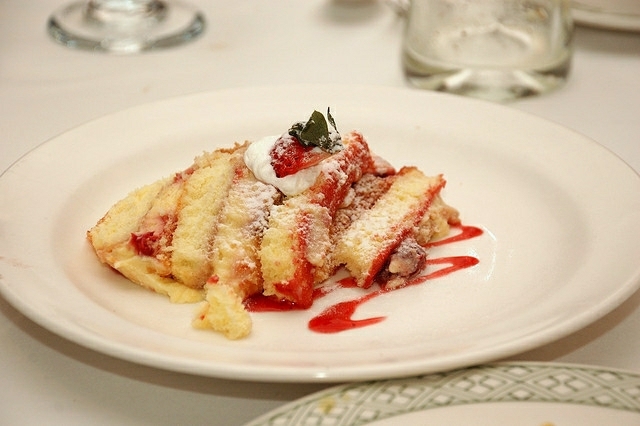 Slice the sponge cake into 1-inch slices and sandwich them together with jam. Arrange in the base of a 2 pint serving dish and sprinkle the ladyfingers or biscuits in between. 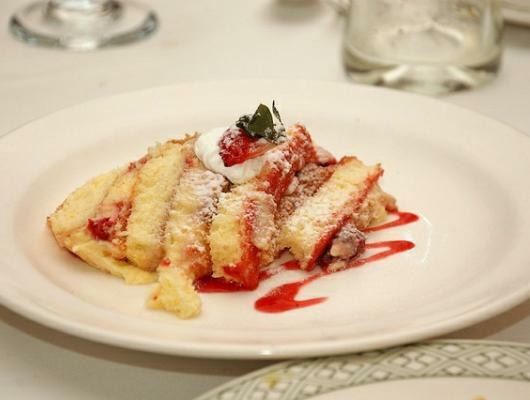 Sprinkle the sherry, chopped cherries and maraschino juice over sponge cakes. Blend together egg yolks and sugar in a bowl. Warm the milk then pour it on to egg mixture. Stir well, return the custard to the pan and cook over low heat. Do not allow it to simmer or it will curdle. When it is thick enough to coat back of a wooden spoon remove from heat. Strain custard over sponge cakes and leave to set. Just before serving whip cream with egg whites until it forms soft peaks, then spread it over the trifle. The cherries and jam can be substituted for any other fruit or flavor: berries, peaches, etc. Additionally, Grand Marnier is also nice to use instead of Sherry. It's all a matter of taste.